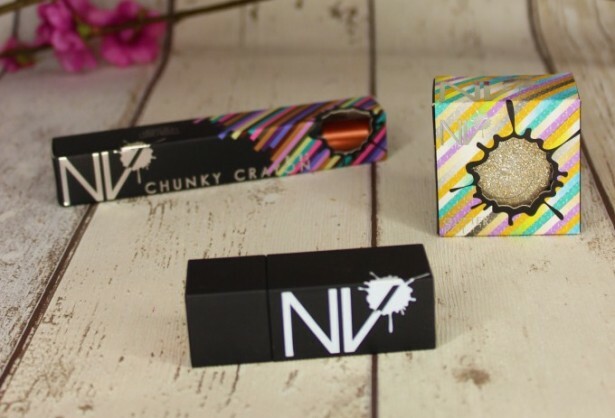 NV Colour Cosmetics kindly sent me some fabulous products to review, I love each and every one of them and I’m so happy they go perfect with the look I will be creating nearing the autumn / winter months. Autumn is a great time to dive deeper into the darker tones of makeup and let the vamp in you be released. 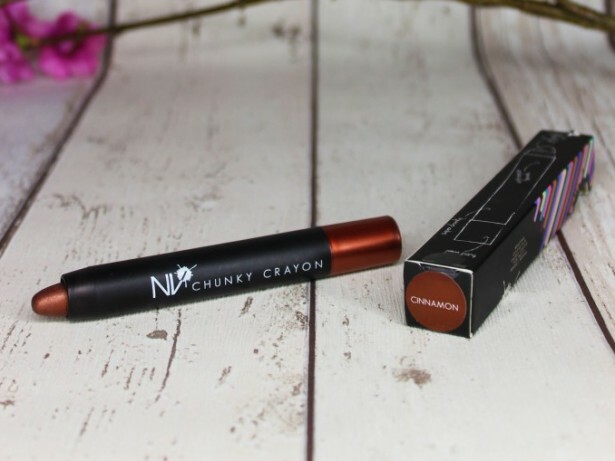 I opted for this gorgeous cinnamon eye crayon which I have been using as an eye shadow. I can’t get enough, it glides on beautifully and really sets off your eyes with a glowing sheen! I will be using this in my up and coming tutorial for ‘Autumn Makeup Look’. I love to use browns and deeper reds in my makeup palette during the colder months. I can’t wait to show you how easy it is to create an autumn makeup look. And I’m equally as excited to add in this eye crayon into the look, my new favourite product, with it’s long lasting, radiant cinnamon glow, all in all a perfect product! The ‘Siren’ Lipstick is a gorgeous vibrant red with a very sleek and glossy finish, I love how bright it is and it’s perfect to pair up with that LBD for date night! 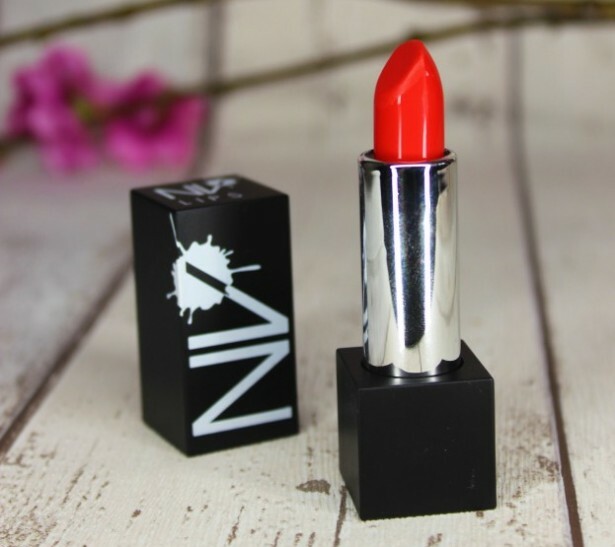 I recently wore this to an event and I had 3 people all say how lovely my lipstick was, so if you want to stand out and with the perfect lip colour, If you can’t quite stretch to other brands with a higher price tag this is the lipstick for you! Great quality and great colour! Lastly the sparkles. I must have been a magpie in a former life, I love anything that glitters (as you will already know if you have read my previous posts!) 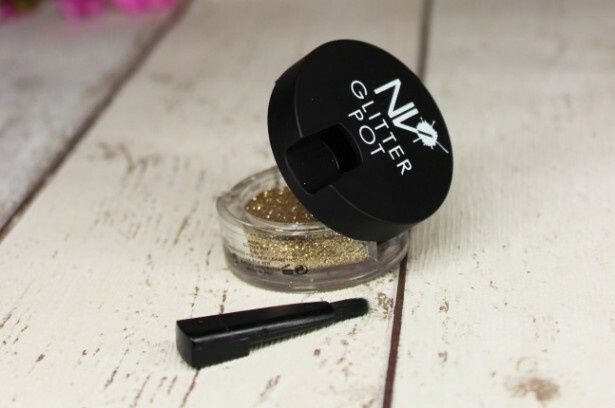 The unique little pot of gold glitter comes with a rather efficient little hidden brush to apply the product, great little addition in my opinion! I have used this glitter on another look I have been putting together, not only would it be great for festivals it will also come in rather handy nearing the Christmas season! Stay tuned to see how I use this, for the party season is only a few months away! How exciting! I hope you enjoyed my review of NV Colour and I recommend taking a look at their other products here.